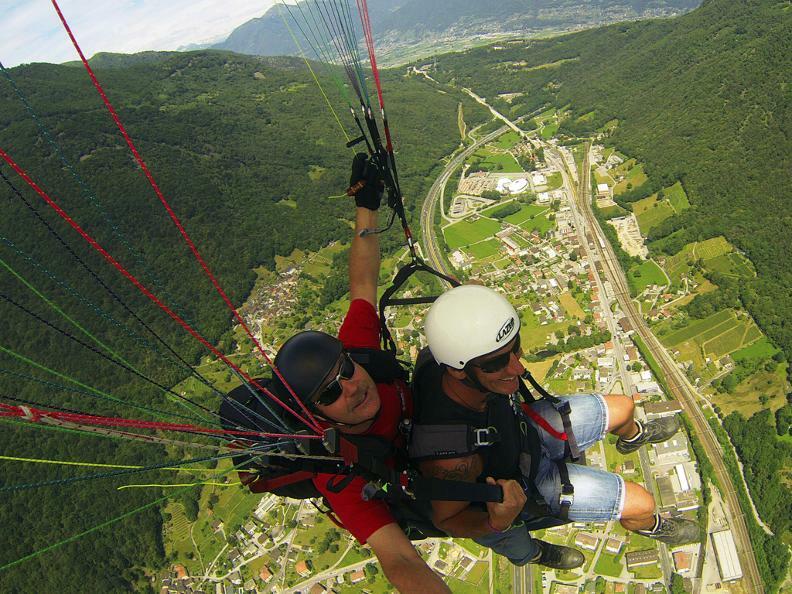 Parachuting, paragliding, hang-gliding: Whatever your wishes are, just come to Ticino and enjoy a beautiful day scaring the skyline! Within a few kilometers the visitor experiences the transition from the imposing Saint Gotthard massif giving way to the gentle vineyards on the Mendrisiotto hills, or the juxtaposition of year-round snow and wild alpine valleys with green hills of olive trees and grape vines. 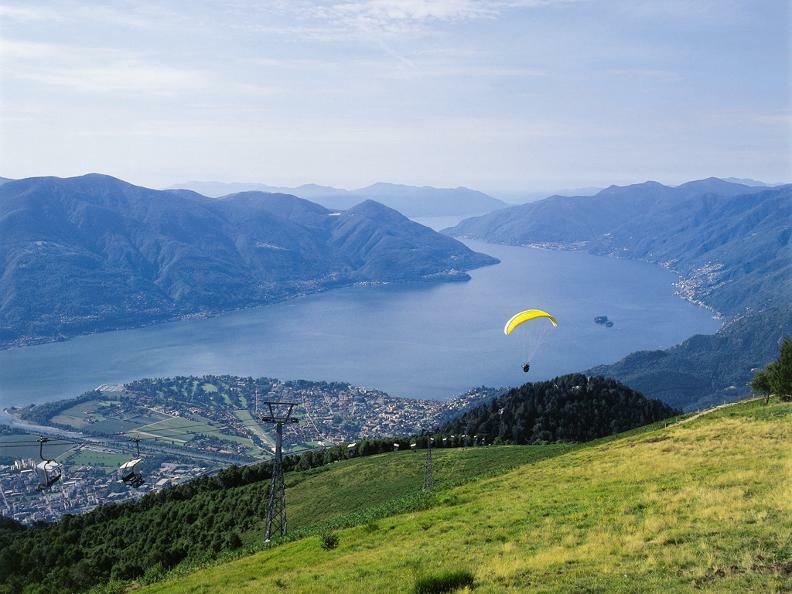 The airport of Magadino, close to Locarno, is the most important centre for parachuting in Switzerland: The year-round mild climate allows sports’ lovers to enjoy the thrill of jumping into space. Ticino is considered among the most beautiful places in Switzerland for free-flying. It offers several opportunities with breathtaking sceneries. Cable cars will bring paragliders up to the mountains. 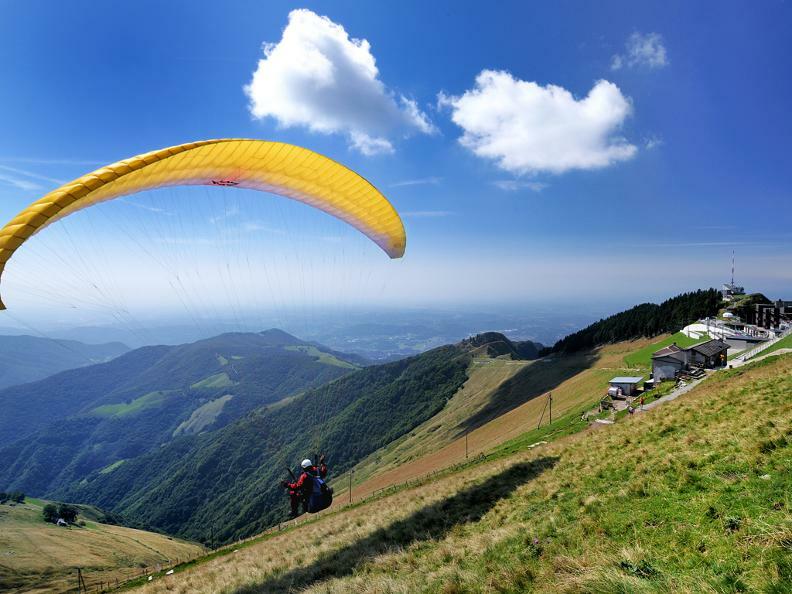 Paragliding is a year-round activity in Ticino, although the best time of the year is in spring, when it’s possible to reach exceptional altitudes. Cardada - Locarno Region: From Orselina (nearby Locarno), a cable car goes up to Cardada and Cimetta at 1620m/5,315ft. 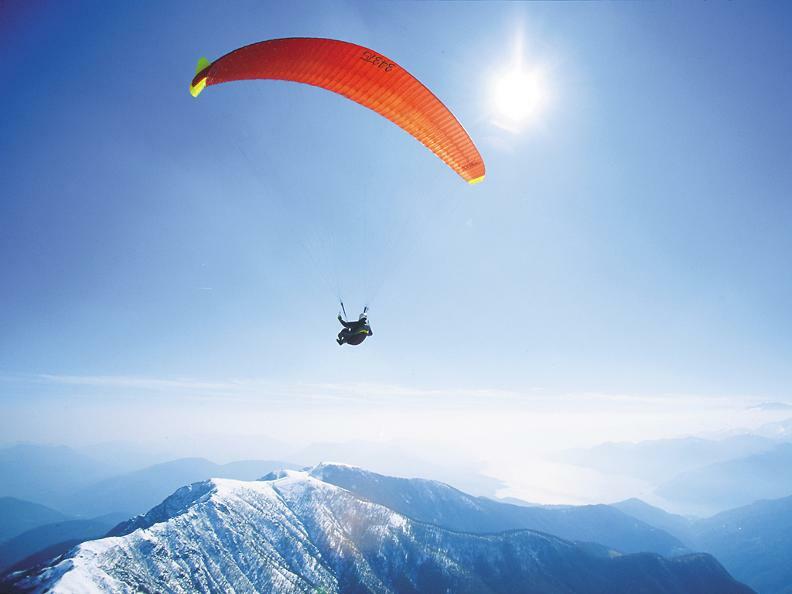 From Cimetta paragliders can launch themselves and experience a wonderful flight over Lake Maggiore, the Maggia Valley, and in springtime, longer flights northwards. The region truly offers a stunning panorama of lakes and mountains. Cardada is also an ideal place for instructors to teach beginners or for pilots who want to glide long distances (over 80km/262mi). Mornera - Bellinzona Region: From Mt. Carasso, a small town next to Bellinzona, a cable car goes up to Mornera at 1400m/4,593ft – it’s only a 12-minute ride. Located on a natural terrace facing south, plunged in green fir and larch trees, Mornera offers a magnificent panorama of the area surrounding Bellinzona. It’s a very well-known spot among paraglide fans. Mt. Generoso - Lugano Region: If achieving sufficient altitude from the top of Mt. Generoso, at 1704m/5,590ft, it is possible – on one side – to fly north over Mt. Boglia towards the region of Bellinzona and Locarno or – on the other side – towards Italy. Many Swiss flying schools base their classes on Mt. Generoso. In this case, flights are directed towards the west, over Lake Lugano with landing in Melano (still Lugano Region). The maximum height allowed is 3800m/12,467ft in Switzerland and 2700m/8,858ft towards the north on the Italian side. Mt. Lema - Lugano Region: The peak of Mt. Lema at 1624m/5,328ft, is one of the best 360° take-off spots from a grassy crest. It offers numerous possibilities, from a level flight, to an easy cross along the crest towards Mt. Tamaro, to flights with a 200km/124mi span direction Valtellina (Italy) and Engadin (Graubünden, Switzerland).